Single again this year and not planning on getting any Valentines? I feel you, girl. 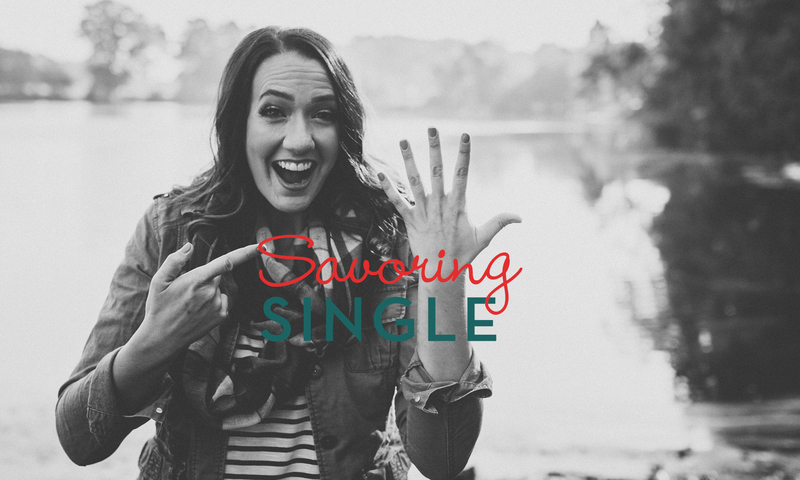 So, here’s a few love notes to warm your heart and encourage your soul that you’re not in this “being single” thing alone. It’s not even that there are ‘a billion’ more of us girls going solo this year, but because there is One that is nearer than anyone else could ever be and delights in every detail of your life. He loves with a forever love that will never fade or grow cold. He pursues with great devotion. He knows, sees and cares. For you. So Happy Valentine’s Day… from Him. if we were really being honest.... This goes deep. Take a moment to ponder. Religion. The world. The middle. The grey. They will court your heart with promises of comfort in the place of your greatest weakness or pain, not to heal you, but to steal you from the only One who can. They will push you with extremes to untie the cords of truth woven in your soul setting you at odds against the One who knit you to be you. They will make lies sound like wisdom and compromise seem justifiable, then condemn you for the very darkness they pulled you into, even weaponizing the words He spoke for your good but using them against you. But it will feel like courtship. Like following your heart. Like living life once. All the while expanding the chasm so you'll hear Him less, feel Him less, until you are convinced He is the one that walked away. Paul was warning the Galatians, and it cautions us today; don't follow unless it leads to truth, and of it there is only One version. His. A few questions to ponder: 1. What does a Christ-follower look like? How do you know? Who is the example? 2. Can we expect the world, the lost, to act saved when they're.... not? Do you hold them to this standard? What standard are you held accountable to? What are the implications? 3. What's the end game? Why should your life lived COMPEL the lost to have what you have? To seek and find what you've found in Christ? Thoughts to ponder reflecting on Galatians 2:14. There's so much more for you in your relationship with Christ... go dig it out, girl!